This shrimp feeds by filtering animal and vegetable food particles suspended in the water. Pacific and absolutely harmless to any other animal, you should not keep it with aggressive fish or with other large invertebrates. 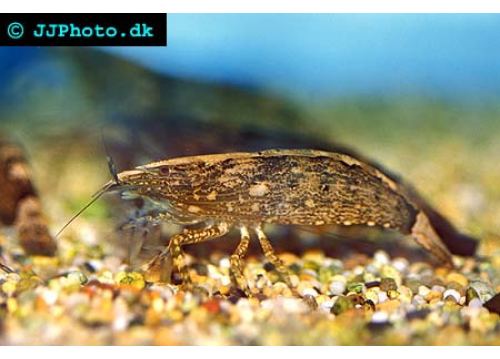 Reproduction is very difficult and there is no news of larval development in the aquarium.